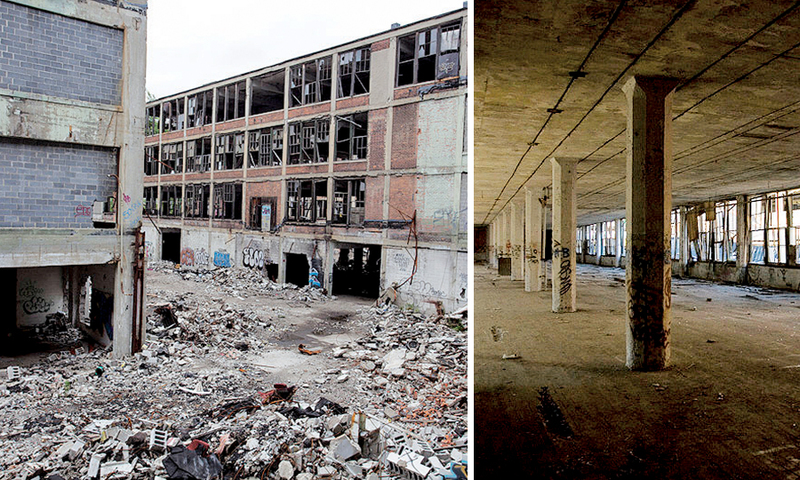 The former Packard plant in Detroit awaits rebirth as a mixed-use project. The auto industry has a long history of finding new uses for old manufacturing sites. Auto plants have been changing owners and uses since Henry Ford rented a wagon factory on Detroit's Mack Avenue in 1903 to start assembling his Model A. Auto plants are expensive to build. The most recently announced project in North America — an Alabama joint venture between Toyota and Mazda that is to open in 2021 — will cost $1.6 billion. But when they are no longer needed, the transition from auto plant to a second life can be painful, says James Rubenstein, a professor of geography at Miami University in Ohio. Rubenstein has tracked auto plant investment for decades and authored books on the "economic geography" of the industry. "A community loses a tax base and an employment base," he says. "And the buildings that are reused are only hiring a small fraction of the work force that the old building had." Between 1979 and 2017, 278 of the 455 plants operated directly by automakers in the U.S. closed, according to data from the Center for Automotive Research in Ann Arbor, Mich. The center estimates 186 of those closed plants have been repurposed or are transitioning, while 92 remain unused. Nearly three-fourths of the closed plants were among the top three employers in their communities, according to the center. Automakers rarely walk away from their plants, Rubenstein says. When it happens, it's challenging for a different automaker to fit itself into the footprint. And suppliers are rarely able to make full use of an enormous auto plant site, which can consist of hundreds of acres. But some companies have seized rare real-estate opportunities to take advantage of other companies' former plants. 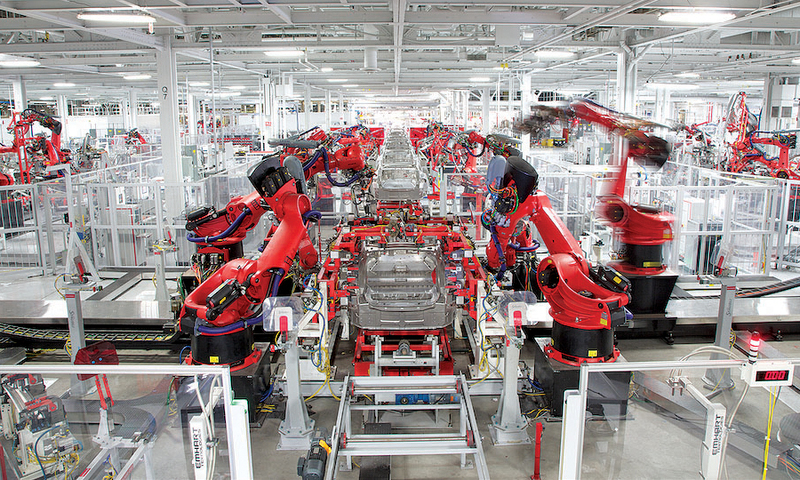 Here are a few stories of closed auto plants returning for new lives. Boxwood Road plant, Wilmington, Del. 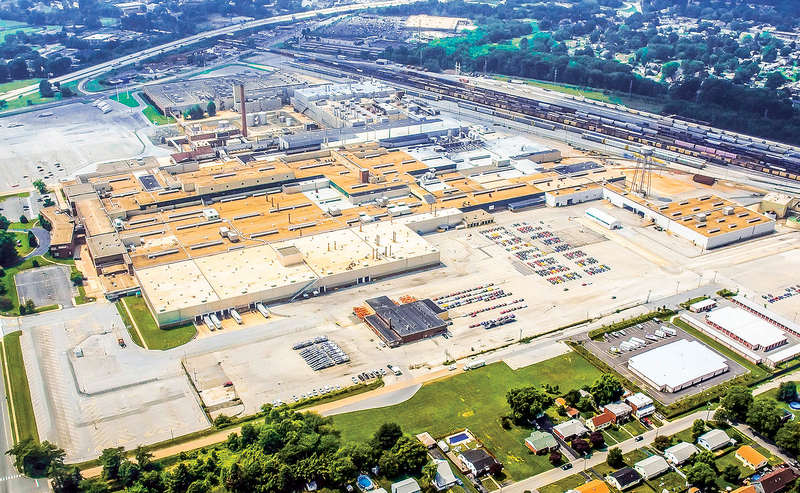 General Motors' Boxwood Road plant spreads across 142 acres of New Castle County in Delaware. It's walking distance to Interstate 95, the main corridor from Maine to Florida. It's also a five-minute drive to the airport and a seven-minute drive to a major international seaport. GM built the plant in 1946. But the factory has been inactive since GM left the Pontiac, Saturn and Opel assembly plant behind in 2009 during the economic downturn. "Everyone has a story about the Boxwood plant growing up," New Castle County Executive Matthew Meyer says. "Grandma and Grandpa all worked there." In 2010, new hope ignited when startup automaker Fisker Automotive bought the factory with federal funding assistance to manufacture luxury plug-in hybrids. But two years later, hope vanished when Fisker filed for bankruptcy. The plant then transferred to Chinese company Wanxiang America when it acquired Fisker. But last October, Wanxiang sold the plant to a Delaware real-estate development group, Harvey, Hanna & Associates Inc. Ryan Kennedy, the group's vice president of marketing, declines to reveal what redevelopment is planned, but local media have reported that the plans could result in thousands of jobs. "There are a lot of ideas, options and opportunities on the table," Kennedy says. "It's too hard to tell at the moment, but we are all excited to get to work on this project." Says Meyer: "As much as the hope drained away when GM left that plant, and as much as it crushes us with the job loss, we're now filled with hope and opportunity knowing there is going to be a new story in our county." New United Motor Manufacturing Inc., Fremont, Calif.
General Motors made use of a closed plant near San Francisco in 1984 for its New United Motor Manufacturing joint venture with Toyota. NUMMI, as it was known, operated for a quarter century of co-production until GM walked away from the 4,700-employee factory and filed for bankruptcy in 2009. Strapped with an oversized factory and no partner, Toyota left the plant a year later. Bucking the economic outlook of that moment, Elon Musk's EV startup Tesla Motors entered the picture in 2010 when it acquired the plant for $42 million — a fraction of the $3 billion that Toyota and GM had invested in it. While proximity to Silicon Valley was a plus, a California factory meant that Tesla would face high transportation costs and nightmarish supply chain logistics. But Tesla has charged ahead. The plant now produces the Model S, Model X and Model 3, and Tesla's 10,000 workers are strapped for space at what was once a cavernously empty 5.3-million-square-foot plant. Tesla is contemplating expansion. Ford's Atlanta assembly plant, which opened in 1947, sat on 122 acres next to Hartsfield-Jackson Atlanta International Airport and built such popular Ford vehicles as the Taurus until it closed in 2006. Jacoby Development acquired the plant in 2008 with bold plans for the site, and those plans are slowly unfolding. Jacoby intends to build an "aerotropolis" at the location. The business district is to include retail space, residential developments, office buildings, hotels and conference space. One of the first tenants signed up in 2011, when Porsche Cars North America said it would build a North American headquarters on the site, moving its offices from Atlanta's Sandy Springs suburb. 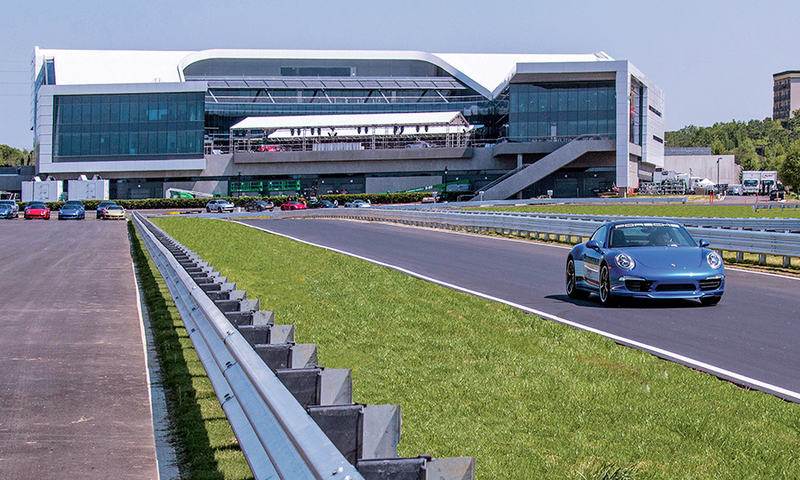 The resulting 27-acre $100 million headquarters and Experience Center opened in 2015 as Porsche's largest investment outside of Germany. It includes a test track, car gallery, restoration center, restaurant and conference/event center. Porsche made the site even more interactive with customers in 2016 with the addition of a new-vehicle delivery program. Customers now can place a factory order through a Porsche dealership and pick their vehicle up at the Experience Center. Diamond-Star and Rivian, Normal, Ill. In 1988, Chrysler and Japanese automaker Mitsubishi, which Chrysler partly owned at the time, launched Diamond-Star Motors, a 50-50 joint venture greenfield assembly plant in Normal, Ill. The partners would co-produce and share 240,000 vehicles a year, with Chrysler studying Mitsubishi's manufacturing methods and Mitsubishi learning to operate in America. 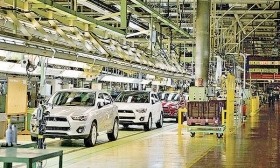 But just three years later, amid the economic troubles of 1991, Chrysler parted company with Mitsubishi and left the Japanese company owning a plant built to produce more vehicles than Mitsubishi could sell in a year. Mitsubishi carried on, but shuttered the operation in 2016. More than 1,000 local residents lost their jobs with the closing. But Kyle Ham, CEO of the Bloomington-Normal Economic Development Council, says the existence of that trained-and-ready auto work force — as well as Normal's proximity to a Midwestern supply chain — led Rivian Automotive to buy the factory in January 2017. Rivian, an EV startup founded by entrepreneur RJ Scaringe, paid just $2 million for the plant, and another approximately $14 million for plant equipment. The venture intends to invest $175 million in the 2.4-million-square-foot factory, hiring at least 1,000 people as it ramps up to a late-2019 production launch. Illinois has provided Rivian with $49.5 million in tax credits. "It was certainly a challenge knowing that we had a significant number of people who were unemployed, and you have this gigantic property on the edge of the community and you want to see it be used," Ham says of the closure. "The town is excited to have a business of a startup nature," he says. "We support the entrepreneurial aspects of it and think it's a company that's going to be around for a long time." The American Center for Mobility in Ypsilanti, Mich., started with a "concept and a couple of people with a vision," says John Maddox, CEO of the autonomous- and connected-vehicle test site outside Detroit. It also started with an unused property. 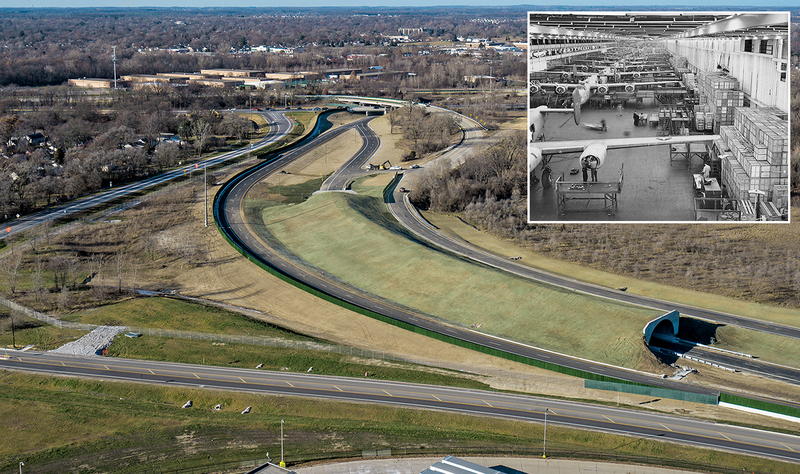 Once the site of Henry Ford's World War II-era B-24 Liberator bomber factory, Willow Run has a diverse history in automaking. After the war, the plant was acquired by the then startup automaker Kaiser-Frazer Corp., and then by GM. 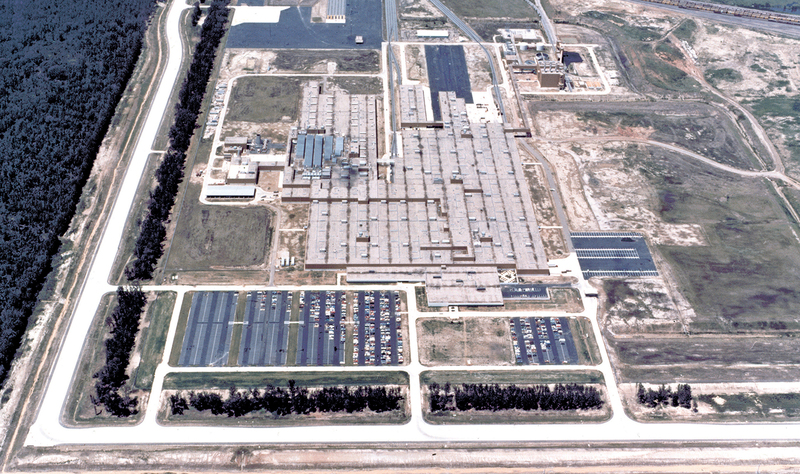 GM began a 20-year run making Chevrolets at Willow Run in 1959. It also manufactured vehicle bodies and powertrains there through 2010. The mobility center came to the site in 2016 with a new plan. Backed by $100 million in public and private funding, the center is redeveloping the site's 500 acres into multiuser testing grounds for autonomous vehicle research. Site construction through next year will include a 2.5-mile highway loop, a 700-foot curved tunnel, double overpasses and on- and off-ramps — "all with beautiful Michigan potholes," Maddox says. "We know that product and tech developers are moving very fast, and they don't know what they will need two years from now or in the next 10 years," he says. "It's only a slight exaggeration to say it'll never be finished: We expect to make changes every year that we're open." Investors in the redevelopment include Visteon, Toyota, Ford and Hyundai, as well as communications company AT&T. Chinese glass supplier Fuyao Glass Industry Group entered the U.S. thanks to a GM assembly plant closing. GM shuttered its Moraine pickup and SUV assembly plant in suburban Dayton, Ohio, in 2008. Fuyao moved into the plant in 2014, using only part of it at first. The first few years came with challenges. Although a profitable company globally, Fuyao's U.S. launch was bumpy. The company invested $237 million to convert GM's plant into a glass factory, according to a 2016 Securities and Exchange Commission filing by Fuyao Glass America, the manufacturer's American arm. It also posted a net loss of $41.6 million for the year on $104.4 million in revenue. In 2016, Fuyao began leasing an additional 241,000 square feet of the former GM property, bringing its total use to nearly 2.1 million square feet, according to the city of Moraine's website. Last November, Fuyao also dealt with a union drive at Moraine. But the once-unionized GM plant work force rejected the UAW by a 2-to-1 ratio. An established supplier with a long list of global customers, Fuyao is pushing forward. In its SEC filing from January to June of 2017, Fuyao Glass America reported a net loss of $10.4 million, although it managed a profit of $495,200 in June. Chrysler Newark assembly plant, Newark, Del. 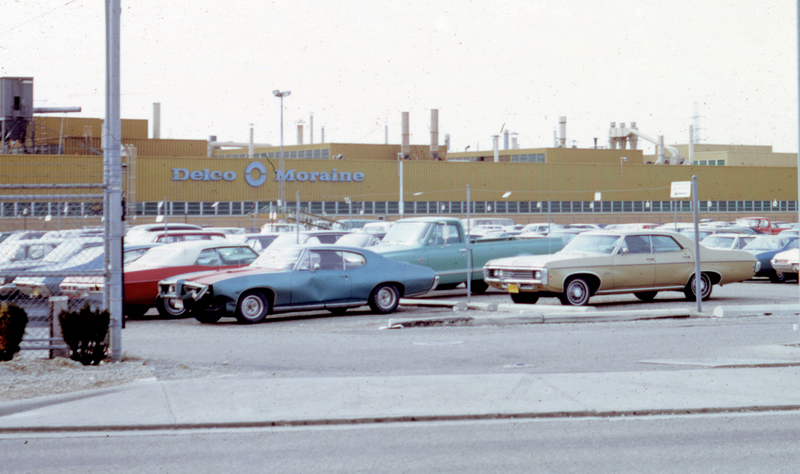 Chrysler's Newark, Del., assembly plant had its roots in defense contracting. It opened in 1951 producing tanks for the U.S. Army, but in 1957 it began turning out vehicles for Plymouth and Dodge. Chrysler closed the operation in 2008, eliminating about 1,100 jobs. The University of Delaware snapped up the 272-acre site in November 2009, citing its proximity to the university campus. The plant became the university's Science, Technology and Advanced Research, or STAR, campus. University of Delaware Executive Vice President Alan Brangman, says the site's location that was once useful to the auto industry — along I-95 and next to a commuter rail line to Philadelphia — also makes it attractive to the university. 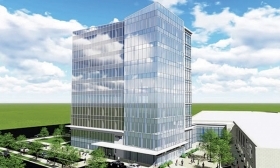 The new campus, still under construction, will include a 10-story tower housing the College of Health Sciences, private business offices and a transportation hub. But the property retains some ties to the auto industry, housing Bloom Energy, which makes fuel cell generators, a research center built with chemical company Chemours Co., a zero-emission vehicle laboratory and an incubator for startup companies and research. "We believe strongly in having commercial entities close to the university," Brangman says. "Students are developing with an enterprise that's going to make them much more marketable." Elio Motors and Glovis, Shreveport, La. GM closed its 3 million-square- foot Shreveport, La., assembly and stamping plant in 2012 after making pickups there for 31 years. The outlook for the site brightened in 2015 when Elio Motors proposed a new life for it. Elio, of Phoenix, says it will invest $100 million to manufacture three-wheeled motorized vehicles at the site and create 1,500 jobs there. But nearly three years later, local officials are still waiting for Elio to move forward. Elio has postponed production, and in August 2017, filed with the SEC to hold an initial public offering to raise $100 million. Louisiana Economic Development Secretary Don Pierson says the state economic development agency recognized when it began working with Elio that it was a "speculative project with a high investment barrier to entry." For that reason, Pierson says, the state offered performance-based incentives that are tied to job creation and capital investments. "Because Elio Motors has not been able to reach those performance thresholds, the State of Louisiana has paid no incentives to the company or its principals," Pierson wrote in an email. But at the other end of the former GM plant, there has been better news. Last year, Glovis America, a logistics subsidiary of Hyundai Motor Group, acquired 125,000 square feet of the plant to create a distribution center for Kia and Hyundai vehicles. Glovis also has leased 90 acres at the site for its needs. State officials say the Shreveport plant is big enough to accommodate both companies. Glovis' plan to create 150 jobs is a far cry from Elio's 1,500 proposed jobs. But Pierson says the logistics company has hired about 125 full-time employees. "We know that the potential exists in Shreveport — whether from Glovis ... or other manufacturers, suppliers and distributors — to add hundreds of additional jobs in future projects," Pierson wrote. At 3.5 million square feet, the Packard plant and campus in Detroit were once visible examples of the Motor City's industrial power. Luxury automaker Packard Motor Car Co. moved its headquarters from Ohio to Detroit and built the factory in 1903. The plant ran for more than 50 years before Packard closed it. Various tenants leased the property over the years but it was abandoned in 2010. Once a magnificent manufacturing site with an elegant, marble-laden administration building, the property is now in tatters, marred by graffiti and shattered windows and filled with trash. Over the years, the crumbling eyesore became a symbol of Detroit's economic problems, and in some ways a warning to aspiring new auto companies that the industry can be rough. Investors have failed to repurpose the property. Most recently, Arte Express Detroit, an arm of the Peruvian real estate company Arte Express, bought the 45-acre lot in 2013 for $405,000. Its plan: Invest as much as $500 million to turn the property into a mixed-use office, residential and light manufacturing project. Kari Smith, the company's director of development, says the group will first renovate the complex's four-story, 121,000-square-foot administration building. That phase of the effort is to be finished in 2019. The task is enormous. The project requires a major effort in debris cleanup and site decontamination. Luckily, she says, Packard's factory was the first automotive plant to use a reinforced concrete-steel construction system, so much of it is structurally stable and viable for renovation. "We are giving new life to a neighborhood that hasn't seen a lot of the revitalization other parts of Detroit have seen," Smith says. 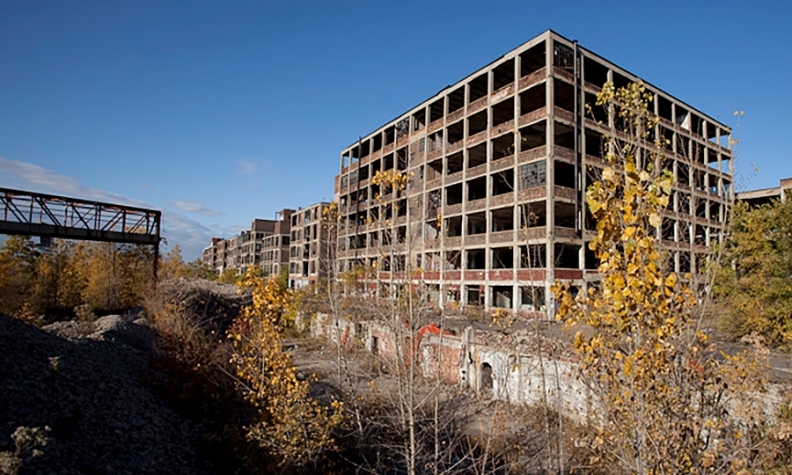 "The Packard plant is an iconic symbol of the rise and fall of Detroit," she says. "And that has the potential to be the rise, fall and rebirth of Detroit."